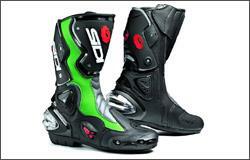 MCN has teamed up with TopGear Superstore to offer you 10% off Sidi motorcycle boots through the MCN Shop. That includes everything from full-on race boots like the Vertigo Corsa Air, right down to Sidi's new ankle boot, the Streetburner. TopGear Superstore are already offering 10% off Sidi boots, but customers who buy through the MCN Shop and quote voucher code mcnsidi10 can get a further 10% off on top of that. Here's just 3 of the Sidi boots that this offer applies to, for the full list, compare Sidi boots in the MCN Shop. Great style, feel, support and quality. Mixes Sidi's low cut design, External ankle brace system, Composite inner sole and Tecno-II buckle system for a perfect glove like fit. Bolt on (no Velcro!) replaceable, adjustable and aerodynamic nylon scuff pads on the toe. Whether it's a day on a wet track, a long distance tour through all types of conditions, or simply pursuing your everyday adventures, Sidi Goretex lined boots will help you get there. 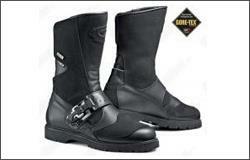 Designed to provide comfort and protection, these boots keep your feet dry, even when you encounter snow, or rain. The Vertigo's are fitted with the Sidi TECNO VR closing system, to provide adjustments via a nylon thread passing through to lateral holes. 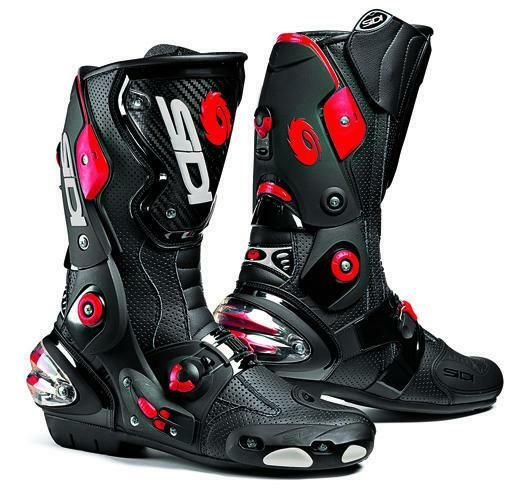 Twist the Sidi TECNO VR adjuster to wrap the boot symmetrically around the calf. 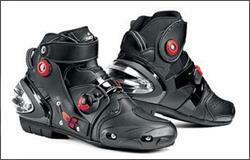 On the outside, there's an interchangeable nylon shin plate and nylon toe slider.